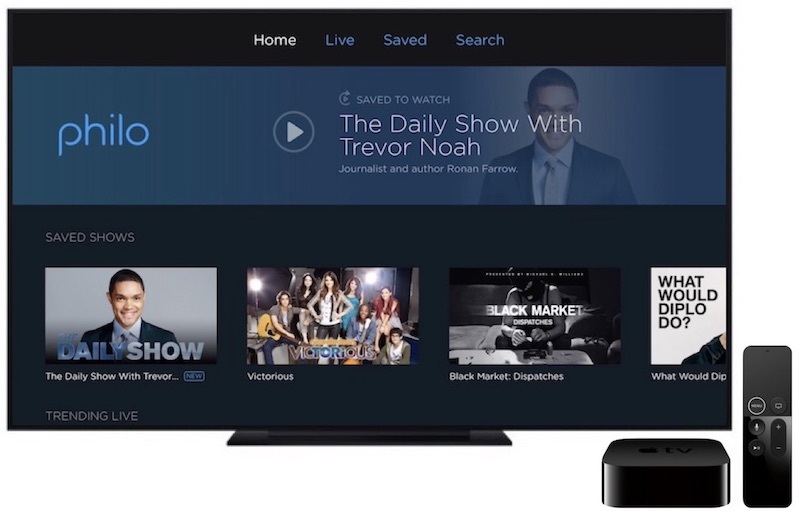 Live streaming television service Philo today launched on the fourth- and fifth-generation Apple TV and Amazon Fire TV, after first launching on iPhone, Roku, smart TVs, desktop and web browsers, and more last November. With the Apple TV app, subscribers can sign into their Philo accounts and watch 40 channels at the cost of $16 per month. The service mainly attracts customers who aren't interested in sports as it has no such channels, which helps to decrease subscription costs. 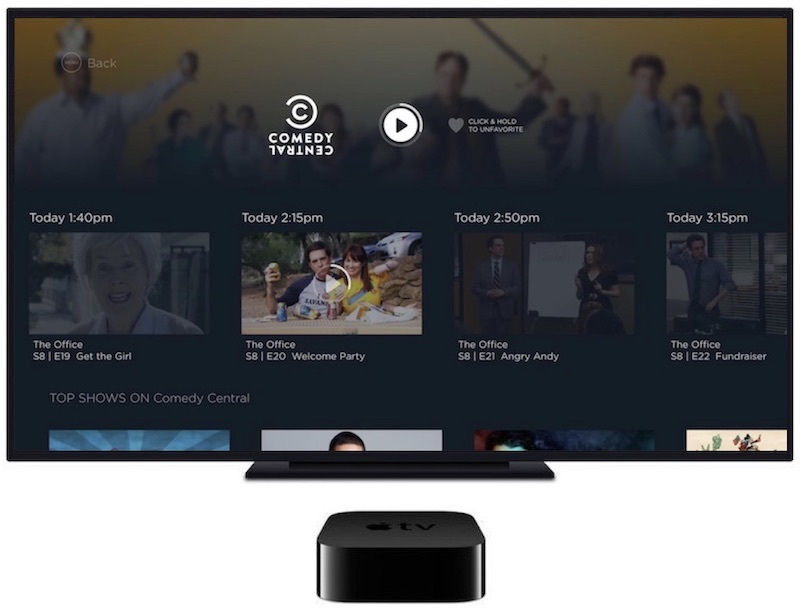 With the connected apps -- now including Apple TV -- users can watch their favorite channels live or on demand, pause live TV, restart programs from the beginning, save shows to a 30-day DVR, and watch on up to three devices at once. The company promises that a native Android app is coming soon, and also announced that it has raised more than $40 million from investors with AMC Networks, Discovery, and Viacom leading its Series C round of funding. The money will go towards "product features" and "enhancements" to Philo, which will soon include a "socially-driven TV experience." Earlier in the spring, Philo also introduced the ability for subscribers to unlock the streaming apps for TV networks included in their Philo subscription. Now, more than 35 participating TV Everywhere apps support this feature, so that if users pay to stream a channel like AMC on Philo, they can use their Philo log-in within the AMC app to access paywalled content. Philo's $16/month tier now provides access to 40 channels, including A&E, AMC, BBC America, Lifetime, TLC, Travel Channel, and VH1. There's also a $20/month option that increases the channel count to 49, adding in options like Logo and Nicktoons. Philo's entertainment-focused lineup lacks sports, live news, major broadcast networks, and local channels -- all of which help lower the monthly cost of the service. Philo's low-cost angle comes in contrast to rival services that include sports and local channels, at a hit to subscribers' wallets since most have announced price hikes in recent months. YouTube TV started off by increasing its cost from $35/month to $40/month to align with Hulu with Live TV and PlayStation Vue's $40/month starting price. Then in July, DirecTV Now announced the increase of all plan prices by $5/month, meaning its cheapest plan also starts at $40/month. Sling TV's $20/month Sling Orange plan was one of the closest tiers to Philo on the market, but this plan will increase in price as well, jumping to $25/month beginning in August. Those interested in Philo can download the Apple TV app today on the tvOS App Store, and the service's iOS app [Direct Link] is also available to watch on iPhone, iPad, and iPod touch. I am very surprised that this topic doesn’t have more comments. I use philo as a complement to my YouTube TV service. But from reading various comment sections, it seems like most people are accepting or rejecting it based on whether it can be their only TV package. Is anyone using it as a complemental service like me? I do. the channel list is complete in the Apple TV with Hulu as my SSO and then Philo for the Viacom, Discovery, and AMC stuff. The only thing I can't login to is Turner/TBS/TNT which I do have with Hulu Live TV but doesn't support authentication via the network yet. No TNT and USA even in the upgraded package. Nice that they have BBC World News. Sadly, BBC America is a non-British trashy re-run channel now. Agree with the "filler" channels nonsense. It's really disappointing that with the exception of Graham Norton and maybe Doctor Who, the rest of the channel is pretty much American shows or movies. That channel was so much better in the mid aughts when it was pretty much all British Shows. For someone that's already somehow recording their local channels, Philo sounds like a good add-on to get most of the other cable channels back, but no SyFy would be the deal-breaker for me. Are those really the only channels you watch?! Those are seriously the only things I would watch on "TV" if I had TV. (Had Sling for awhile). I also follow MLB but that's a separate app . . . .